Meets 3rd Wednesday of every month, except December. See calendar and latest blog for outing details. Meets: In summer, usually every two weeks on Tuesdays. See calendar for dates. 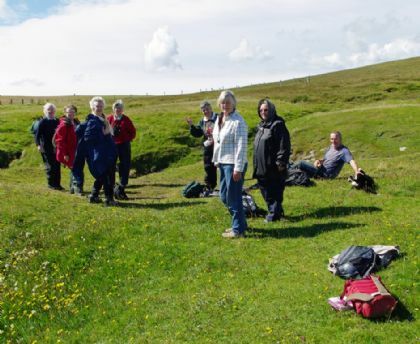 The Botany group meets regularly in summer particularly to find and identify plants, but with ample opportunity also to look at the geology and other wildlife of Orkney. Short walks are involved, with plenty of opportunities for photography and other interests. Most outings are two hours long and, where possible, go on to a tea room. There are some longer trips to the outer isles and we car share whenever possible. The group is suitable for the complete beginner as well as the more expert. The group contributes species lists to the local plant database via the county recorder for plants. We take it in turns to co-ordinate the trips, and we share transport and costs. We are a friendly social group of like-minded crafters who want to learn and experiment with new crafts while sharing our skills and ideas. 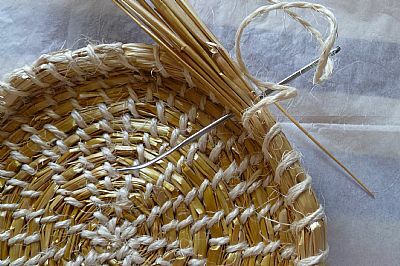 In the past we have tried encoustic art, Temari, needle felting (creating beautiful pansy brooches, pictures and handbags), Swiss straw work, Somerset and cathedral patchwork and various paper crafts. Currently we are refreshing and practising our embroidery stitches. If any of these appeal or you can instruct us in something new, please get in touch - details above. 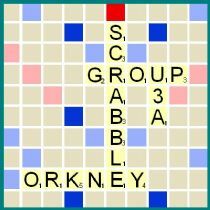 All the action now takes place in the Orkney Library on the ground floor, small meeting room, every Thursday morning 10 am til 12. The venue is free and there is disabled parking and facilities available. At present there are 8 people on the list and between 2 and 7 folk attend at meetings which are not specially regular but normally at least once a month and can be more frequent as is convenient for people. Presently we meet on the first Monday of each month. It isn't at all academic; we just enjoy listening to recordings brought by each other and sometimes what comes in overlaps, often it doesn't. It's interesting to hear whatever appears. See Blogs for the most recent activities. A limited number of places still available - please contact Sandra on email below for information. There are some spaces left in this group. If you are interested please contact Sandra Higgins through this website. We meet every 4th Wednesday at 2 pm at a previously agreed venue. For about 1 - 2 hours we take photographs of anything that appeals to our eye. From there we usually adjourn to a nearby tearoom to look at and discuss our best pictures taken at the previous venue and some of a theme set by the group each month (our homework as it were) oh and tea and stickies of course! There is no pressure and no competitions, just good fun and company, the aim being to update and improve our photography skills. Due to the success and over-subscription of Photography Group 1 a second group has been set up. 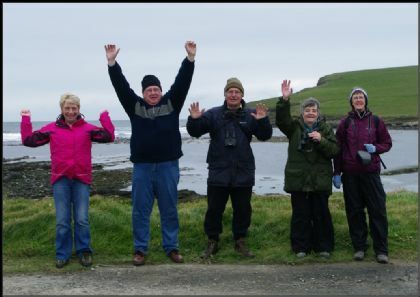 This second group is active and currently, during the summer, visiting off islands, the next being Swona and a further one to visit Rinnigill on Hoy. We are also looking into possible indoor meetings, with ideas for table top photography. New members are always welcome! Spaces available now. 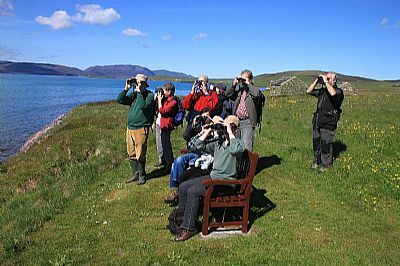 The group meets every Friday morning from 10:00 to 12:00 in the Marwick Room at Kirkwall Library & Archive. New members are very welcome - please come and join us. 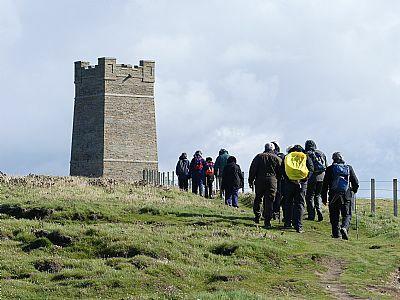 The Walking Group meets monthly either on a Thursday or a Friday morning usually 10 am. We walk for one to two hours and have a small break for refreshments half way along route. We do not do power walking but may walk up some hills. Walks will be taken in all weather but drenching rain and gales and snow. The Winter walks might be shorter and lower depending on circumstances. A reasonable degree of fitness is required. Any questions to Tim Wright, currently the leader. The Virtual U3A (vU3a), which went live in January 2009, is an online-only U3A, affiliated to the Third Age Trust. 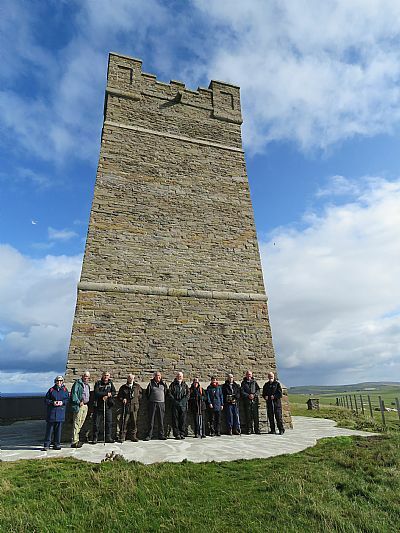 One of its principal aims is to provide the U3A experience for those who are rendered isolated in some way by circumstances or geography and unable to play a full part in a terrestrial U3A. More information and a video are available on the public website www.vu3a.org where you can also apply for membership. Why not pay it a visit? And if you know of anyone who might benefit, please pass the information on.